Whether drive-by traffic or in-store traffic, when you need to get your message seen, there is no more effective sign than a big, bold banner. 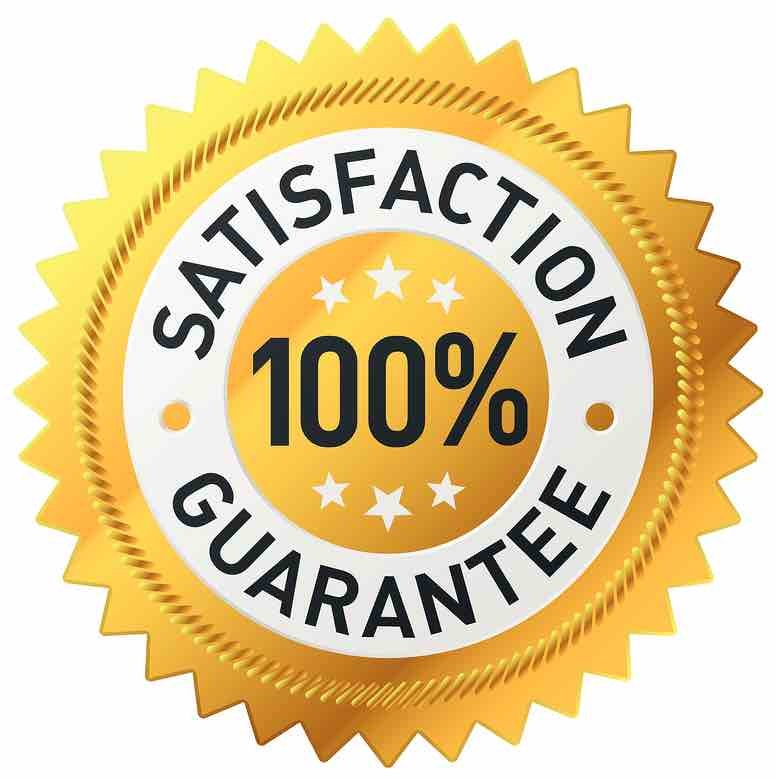 Eye-catching designs and custom graphics work to enhance visual impact. The versatility of banners, whether displayed horizontally, vertically, indoors or out, make them the ideal choice for just about any message you wish to convey. Custom Grafix offers bright contrasting, high quality vinyl banners in any dimension. We can also produce full color banners that allow you to display any type of artwork or photograph. Custom Grafix can also supply a number of innovative light weight, portable, retractable or revolving banner stands. With full colour digital printed banners, single or double sided these portable banner stands are ideal for in-store promotions, reception areas, directional signage at conference and exhibition venues or to compliment larger display stands. 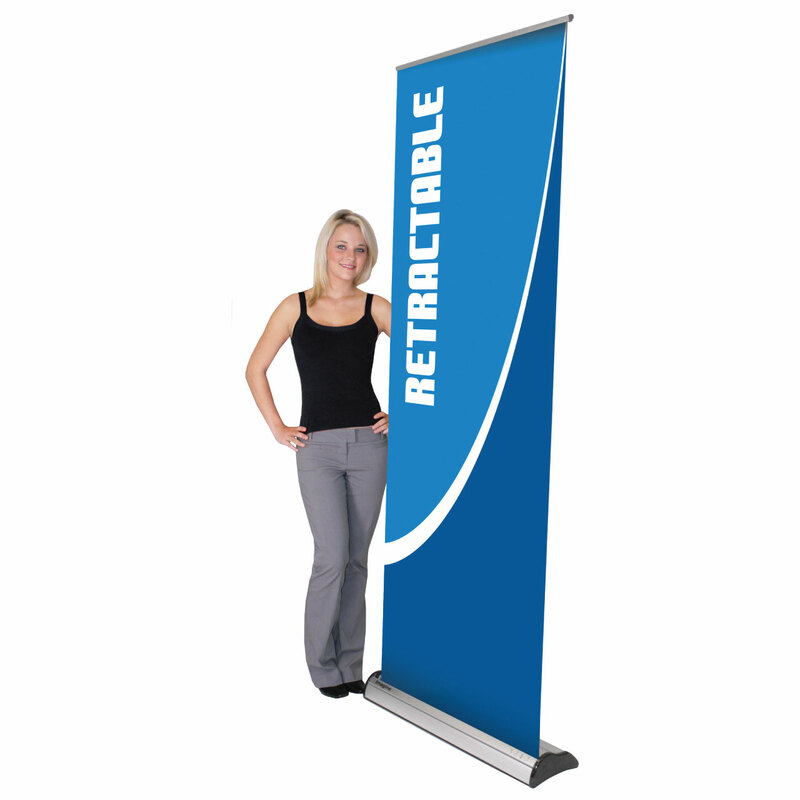 These banner stands are sturdy, quick to set up and have easily replaceable graphics. 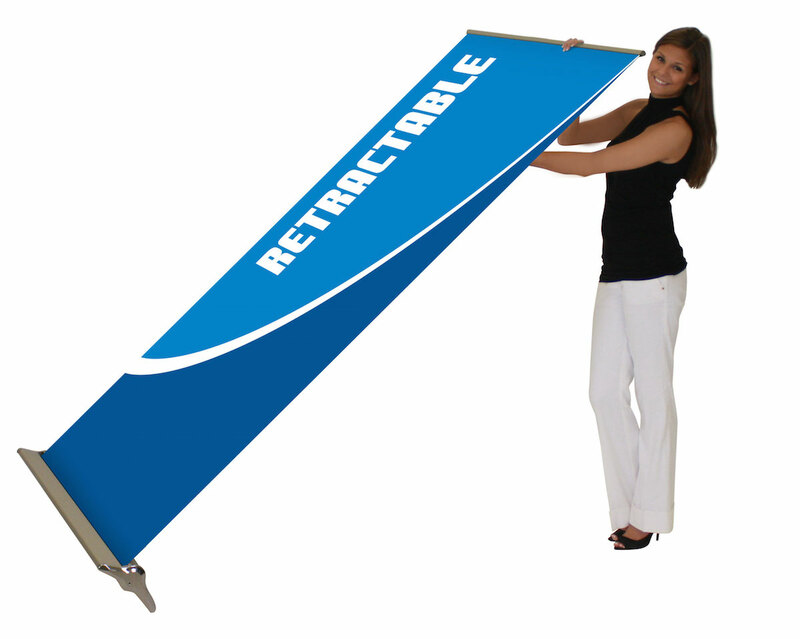 All banner stands roll up into a lightweight tube or carry bag and come complete with custom printed graphics.